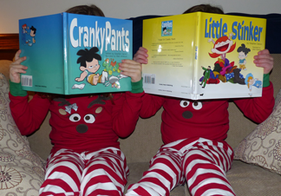 Cranky Pants Nation - Fun Kids Books! 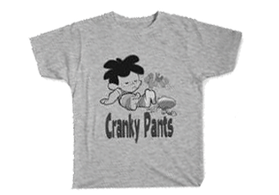 Welcome to Cranky Pants Nation! Welcome to Cranky Pants Nation! Home of author, Stephen Sanzo and his talented friends. We bring you fun, colorful, and humorous picture books that are perfect for both beginning readers and the adults who read with them. Find out more about the books and where to get them. Coloring pages, videos, songs, and more! T-shirts and other fun stuff! We love to to share our books with fun events for kids. Contact us to arrange an author visit. ". . . should successfully claim (its) rightful place on many bookshelves . . . Every child who occasionally wakes up grumpy should appreciate this story."